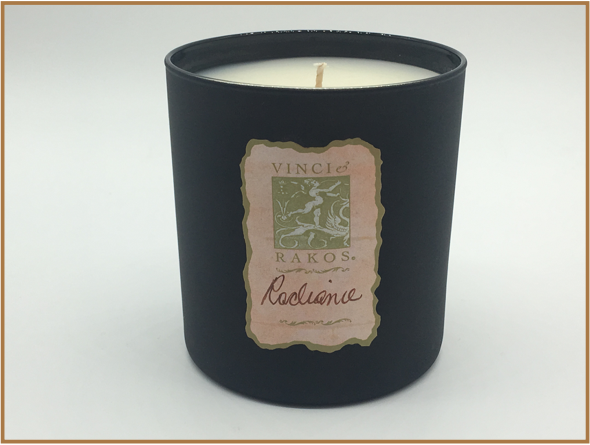 The Vinci & Rakos Earth and Radiance Pillar Candles have been hand crafted in the USA created with food grade certified wax and all-natural lead free cotton wicks. The pillars are long burning with high fragrance saturation. 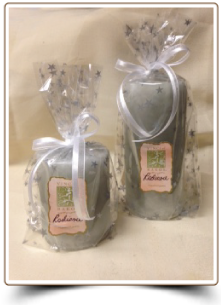 The candles are hand made for Vinci & Rakos under my favorite design and color direction by a wonderful father-and-son business whose goal is to combine traditional value and artistry with innovation and creativity. 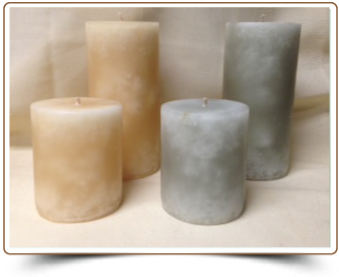 I am thrilled because I wanted my Pillar candles to have a textured, marble look, similar to the design of my website and business cards, and they were able to achieve this for me. Earth was created in a warm and natural color and Radiance in a cool grey color. 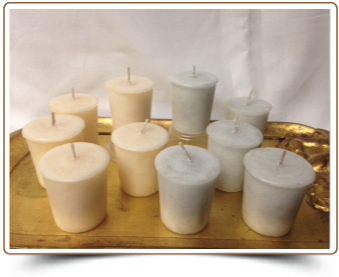 The results are Pillars that are visually appealing in any room in your home, and they smell amazing even before you light them. The Pillars and Votives will arrive in star cello bags with beautiful ribbons. A product information card and a gift card will be included to make this presentation just perfect for gift-giving. 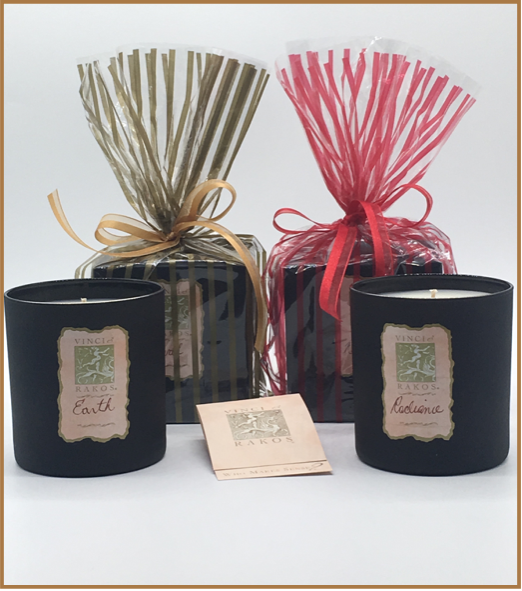 The Pillar Candles are offered in the two most loved fragrances in the Vinci & Rakos line, warm & sensual Earth and fresh & floral Radiance, and in the three most popular sizes: 3”x3” and 3”x6” and Votives. 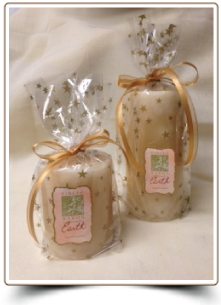 Earth: A warm and sensual combination of white musk and earthly delights with a hint of floral accents. It is warm and sensual but at the same time devastatingly fresh and clean smelling. Both men and women find Earth arousingly exciting. One musky whiff will have you coming back for more. 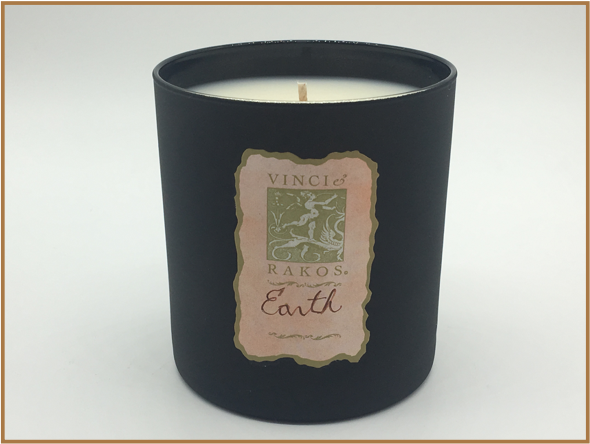 Earth has been the signature scent of Vinci & Rakos * Who Makes Sense? for over 25 years. Radiance: A fresh and floral combination of spring flowers and radiant bouquet with a hint of powdery notes. It sparkles with its classic femininity and romance. Developed as a truly modern and spirited blend of flowers with thoughts of fashionable Paris swirling in your head. A client favorite for over 25 years. 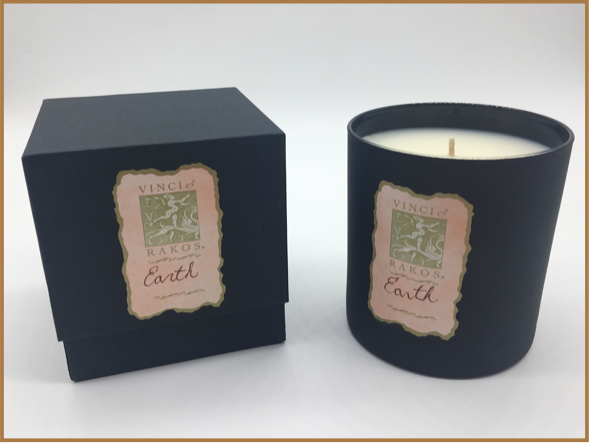 The Vinci & Rakos Earth and Radiance Scented Candles have been created to harness the remarkable properties of an innovative formula made from food – grade certified coconut oil, at a remarkably high fragrance saturation to create the ideal candle formula. 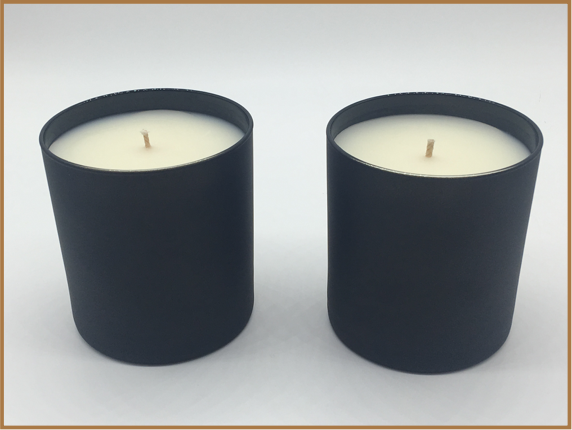 Our hand-crafted candles were created using a lead free cotton wick and provides a clean burn with minimal sooting. 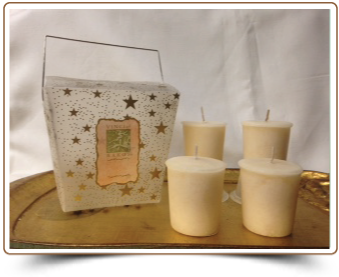 The candles are among the first sustainable wax alternatives in the market and is ecologically responsible. The purity of coconut oil allows the Fragrances to burn true, releasing the scents without distortion. The natural coconut wax blend is paraben fee, non GMO Coconut, food grade certified coconut oil, sustainable wax base, essential & fragrance blends, lead free cotton wick, clean burning and hand poured in the USA. 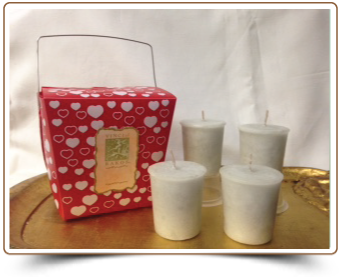 CAUTION NOTE: In order to experience these heavenly and heavily scented candles, lots of Fragrance oil was added to the candle blend. To avoid any smoking or sooting when the Candles are burned, please follow these burning tips: Remove dust cover before burning. Trim wick ¼” prior to lighting the candles. Do not allow wick trimmings to accumulate in wax pool. Burn only 4 hours at a time and trim each time before relighting. If smoking occurs, extinguish flame, trim wick and relight. Keep wax pool free of debris. Stop burning the candles when ½” of the unmelted wax is remaining in the glass container. Candles can get very warm to the touch, even a little hot, which means they should not be moved while they are burning. If they need to be moved, please grasp the candles from the bottom of the glass and not in the middle. Once the flame is blown out, the coconut wax sets up very quickly so they can be re-lit easily. It is advised to place the candles on a proper glass or ceramic plate while burning.